Ain’t It Cool News has posted the Star Trek trailer, with Leonard Nimoy. in the Christmas issue of The New York Review of Books! SciFi Wire has posted a promotional video for Battlestar Galactica’s final episodes, as well as a Caprica trailer. SciFi has managed to stretch out Galactica’s final season a long time, and it looks like the franchise might continue a while. Of course, Stargate Atlantis will end before Galactica. Only a few episodes remain. Those episodes, including the show’s 100th episode, will air in December and January. Milk looks like it might finally give the civil rights activist more recognition, and allow more people to learn from his story. It also looks like a well-made film from director Gus Van Sant. The genre films Twilight and The Day the Earth Stood Still, as well as the historical epic Australia, all look exciting. However, I hope their hype won’t drown out publicity for this important docudrama. EQuality Entertainment has posted a review of Milk that explores the movie’s relevance in 2008, despite the fact that its events took place thirty years ago. Of special interest to doorQers, that site also examines the gay elements in books, movies, and Star Trek. SciFi Wire reports on plans for Josh Schwartz to write X-Men: First Class. Schwartz, also known for Chuck and The OC, will focus on the next generation of mutants. I haven’t seen any details about which characters to expect. Hero, Perry Moore’s teen novel about a gay superhero, might soon be a TV series on Showtime, thanks to Stan Lee. SciFi Wire posted an article about the plans: Showtime Readies Lee's Gay Superhero. 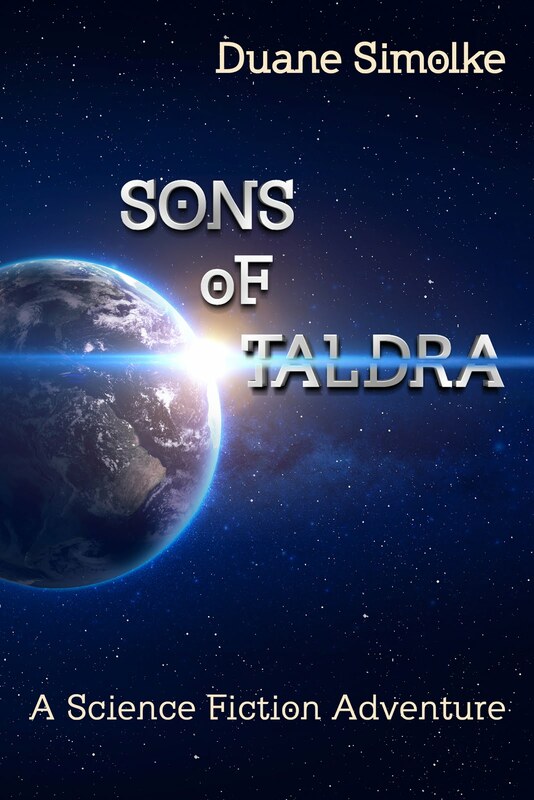 Degranon: A Gay-Themed Science Fiction Adventure (Sons of Taldra) recently returned to the top 10 in Kindle’s gay fiction charts. Read more about Gay SciFi and Fantasy. Blogger Jesse Ware recently posted an interview with J. L. Langley, the author of The Tin Star and Without Reservations. Langley’s books tend to focus on gay male characters, and sometimes include dark fantasy elements. Based on the Sword of Truth books by legendary fantasy author Terry Goodkind, the TV series Legend of the Seeker isn’t bad. Still, could the writers stop cramming “the Seeker” into the dialogue every few seconds? We get that Richard is the Seeker. Really. Couldn’t his friends call him Richard now and then? Craig Horner plays Richard Cypher in the series, which airs in syndication, including the cable station WGN. Watch the Seeker Preview. Speaking of famous sword-and-sorcery novels, SciFi Wire reports an update on HBO’s adaption of A Song of Ice and Fire, the fantasy series from George R. R. Martin. SciFi Wire also posted images from Push, a new science fiction movie that stars the Fantastic Four’s Chris Evans. Thank you, U. S. Veterans! MSNBC has posted an NBC Nightly News story about the discovery of some amazing World War II footage, including aerial combat. Read about the The Acorn Stories in the November/December issue of Bookmarks. Read the reviews at Kirkus, Amazon.Com, bn.com (2nd edition reviews), and bn.com (1st edition). 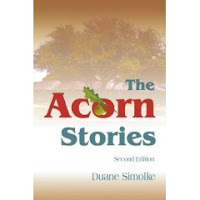 If you buy The Acorn Stories (or anything else) from bn.com before November 16, 2008, use the 10% off Coupon Code: A3X3A9B (for non-members) or the 15% off B&N Member Coupon Code: C3N4T4J. With the Texas Tech University Red Raiders football team on a winning streak, West Texas is receiving more media attention than usual. The Acorn Stories provides a fictionalized but often too-true look at West Texas, including Lubbock. Book review: The Rylerran Gateway by Mark Ian Kendrick. Mark Ian Kendrick’s ambitious science fiction epic, split into three sections in a single volume, involves two men who fall in love before embarking on an inter-dimensional adventure. Of the Consortium’s fourteen inhabited planets, only Andakar approaches Earth in wealth and a desire for equality. After Lieutenant Commander Darreth James-Po and Dr. Naylon Ress, the two young lovers, crash land on another of the so-called “Inhab” planets, they accidentally discover a gateway to another dimension, almost like their own but with a different power struggle. Here, the human race wars with an alien race. Instead of the Consortium, a military force rules. Kendrick uses his interests in science and language to enrich his world-building with interesting technology and terminology. The glossary in the back of the book explains all of that in brief phrases, and also lists the various characters. I never needed to refer to that glossary, though, because it all becomes clear in context. The other-worldly language adds to an exciting, textured science fiction experience. While Kendrick stays focused on entertaining his audience with battles and political intrigue, he also shows how easily people can justify injustice, such as discrimination and even slavery. The characters interact in believable yet often unexpected ways. Ultimately, the romantic relationship between the men Darreth and Naylon provides the glue for the expansive narrative. Even though they only appear together in certain key parts of the novel, these two heroic men pull readers in and will keep them wanting to find out what happens next. The Rylerran Gateway should entertain anyone who enjoys science fiction, and especially the many readers who share Kendrick’s frustration with the odd lack of gay characters in science fiction. As he explains at his website, he wants to change what he and his partner see as the disappointing lack of gay people depicted in the genre they love. Visit that website to read more about Mark Ian Kendrick’s writings, which also include Stealing Some Time Volume 1, Stealing Some Time Volume 2, Desert Sons, and Into This World We’re Thrown. Read more about Science Fiction for Gay Readers.